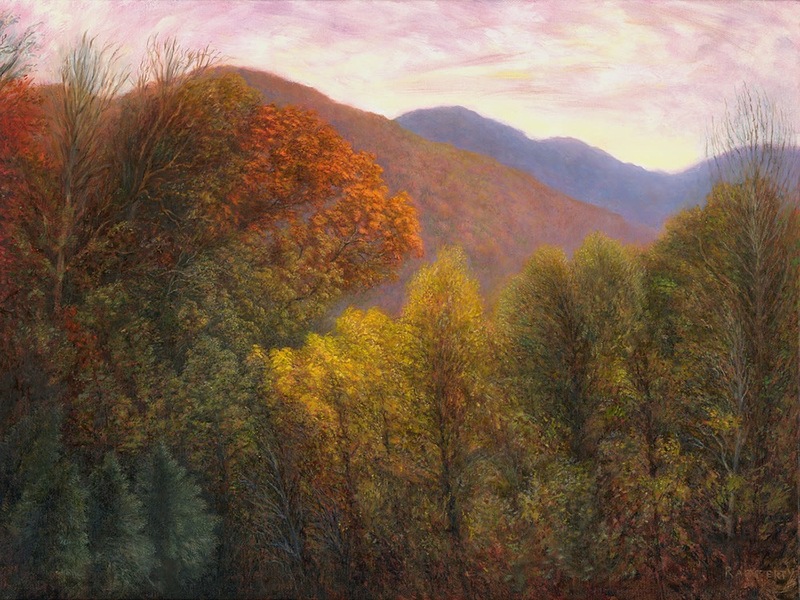 "Swannanoa Autumn Scene" is an original oil painting by Jason Rafferty. Oil on canvas with custom frame. The original oil painting "Swannanoa Autumn Scene" by Jason Rafferty. The media is oil on stretched canvas, and it measures 24 x18". It was painted in Asheville, NC by Jason Rafferty, at the Cottonmill Studios in the River Arts District. 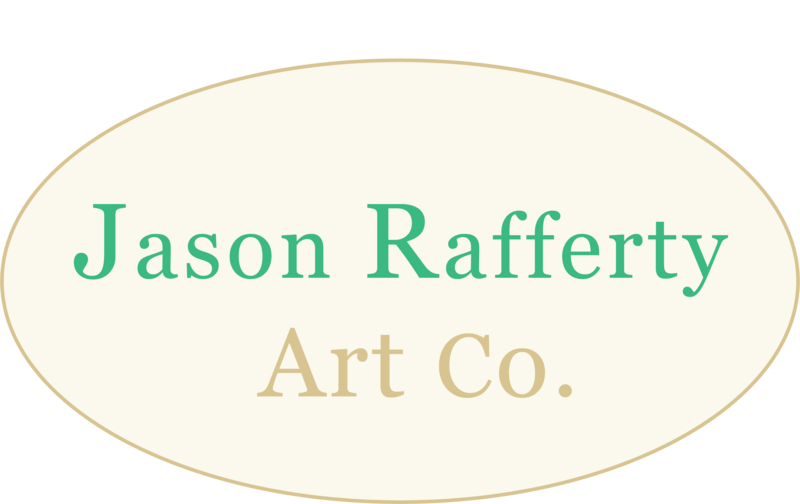 "I was commissioned by a friend of mine to paint the view off of the back porch of his associate who lives in Swannanoa, NC. We spent an enjoyable afternoon at the peak of autumn hanging out as I painted a small oil sketch of the scene. I was quite satisfied with the result, and decided I wanted to do an enlarged, elaborated version of the composition. After several weeks of studio painting, this piece was the result. I love how it captures the Blue Ridge Mountains in the peak of the autumn, showing the great fanfare of colors and subtle contrasts of yellows and violets."